Ay Karumba it is finally Friday!!!!!!!!!!!!!!! net-a-porter (reversecommuter’s absolute fave website in the universe) has launched THE most fabulous fashion magazine, Porter. 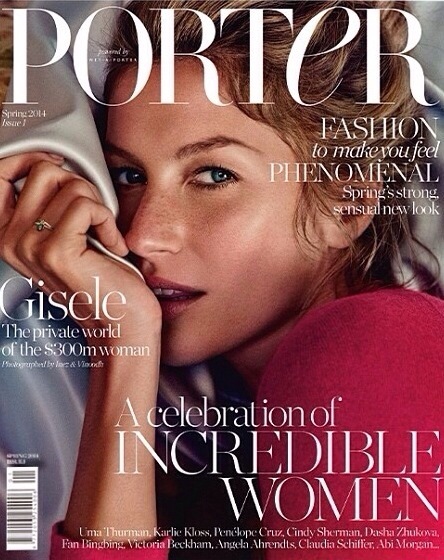 Gorgeous Gisele is gracing the first cover, and it hits newsstands today! 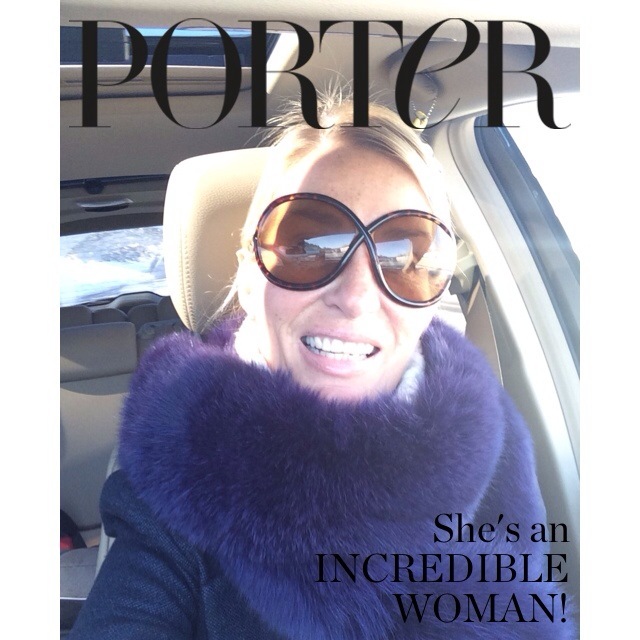 But if you download the app “I Am Porter”, you might just give her a run for her money! Mercedez Benz Fashion Week is ON! Day 2 will bring Nicole Miller, Rebecca Minkoff, and Charlotte Ronson. Saturday delivers Jill Stuart, Herve Leger, Monique LHuiller and Sunday offers up DKNY, Leila Rose, and Diane Von Furstenberg. Most of these shows are streaming live, or at the very least go to Style.com to see the stills. Slap on an appropriately sporty fab outfit, pour the champs & enjoy the Winter Olympics! This entry was posted in accessories, Art, Boston fashion, Boston suburb fashion, Cold Weather, Fashion, Finance, Magazines, Media, Shopping, Sports, Technology, Travel, Trending, Trends, Uncategorized, Winter and tagged apps, boston fashion blog, Boston suburban fashion blog, Charlotte Ronson, Diane Von Furstenberg, DKNY, Fashion & Finance Friday, I Am Porter app, iTunes, Lucky, MBFW, mommy blog, mommy fashion blog, Monique Lhuillier, Natalie Mansenett, Net-a-porter, Nicole Miller, Patch.com, Peter Som, Porter magazine, Rebecca Minkoff, reversecommuter, Richard Chai, suburban fashion blog, Winter Olympics by reversecommuter. Bookmark the permalink. Awesome!!! And I love your cover :)! Happy Friday and weekend to you! When I think of live streaming events, my mind goes back to the days of recording something on a VCR (and in many cases missing the show because something got messed up on the machine!). Makes me laugh. We really do have it much easier these days with our tablets/phones/internet, etc! Oh happy day, cover star! Love your look on Porter. May I please get a signed copy? LOL / Snort / Giggle / Guffah!!!!!! Get the app and have some fun!!! You ARE a cover girl for sure! I want a signed copy like CXCB! You too can be one – it is a free app that is SO fun! Happy Friday and what a gorgeous cover 🙂 !